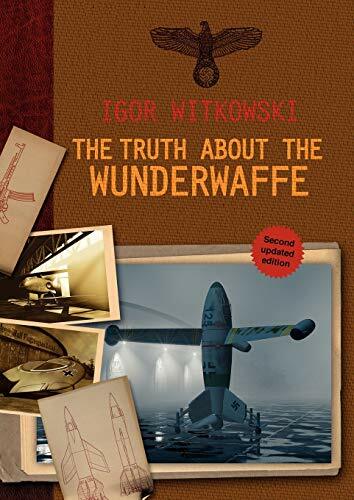 THE TRUTH ABOUT THE WUNDERWAFFE is about the Third Reich's weapons of last resort, but it is a book unlike any other on the subject. The author, a former military journalist, has done extensive research on three continents, in the archives of many countries, and he has uncovered a wealth of facts about weapons and weapons systems unknown to the general public. This book is very well documented, and most of the sources have never before been presented in any publication. The main section is an analysis of a research project pertaining to a weapon that officially was and still stands beyond any normal classification-the Wunderwaffe, or, according to German documents, "a weapon decisive for the war." After its first release, THE TRUTH ABOUT THE WUNDERWAFFE became an instant classic. This fully updated and extended edition bears the same unique tone of voice and style that defined the original.